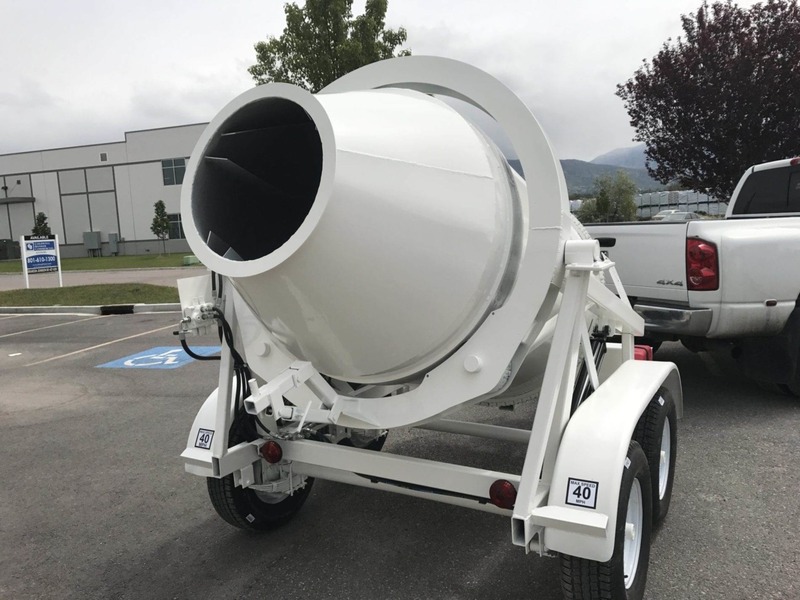 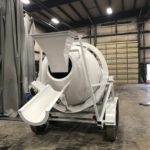 The 2DH-1 portable concrete mixer mixes 1 1/4 cubic yards of concrete in 15 minutes. 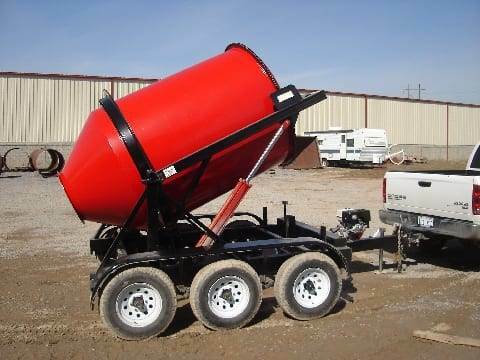 The self mixing drum holds 1 1/4 cubic yards (27 cu ft) of concrete while in transit and mixes 3 cubic yards an hour. 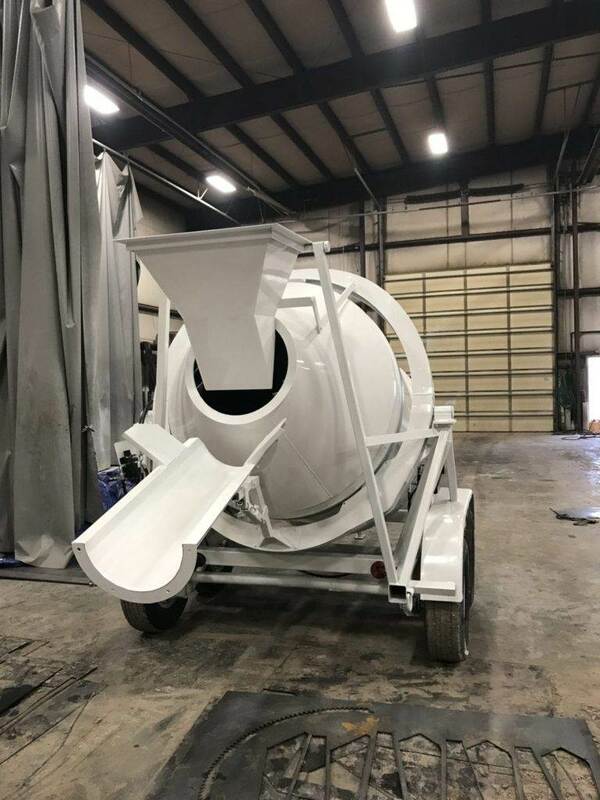 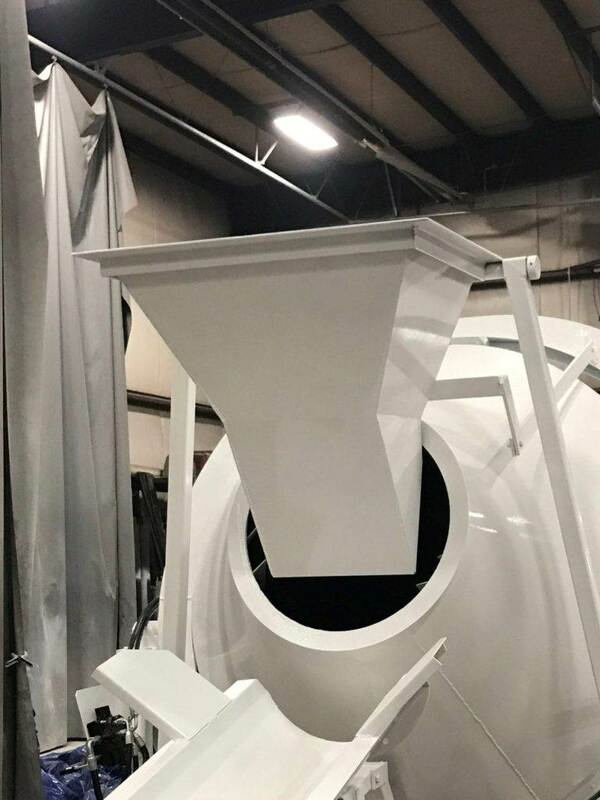 The 2CL portable concrete batch plant is designed to load the 2DH-1 mixer. 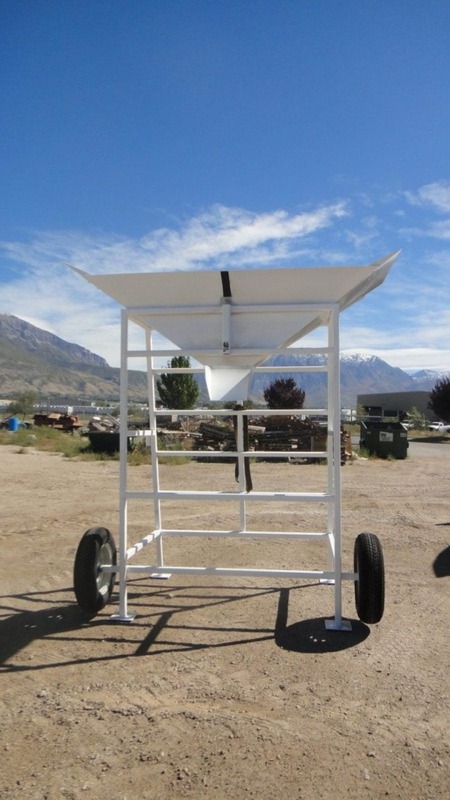 The lightweight discharge chute enables the 2DH-1 to easily discharge while moving straight or pouring in tight places. 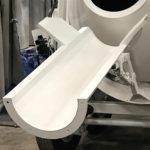 It can be stored on either side or the back. 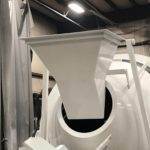 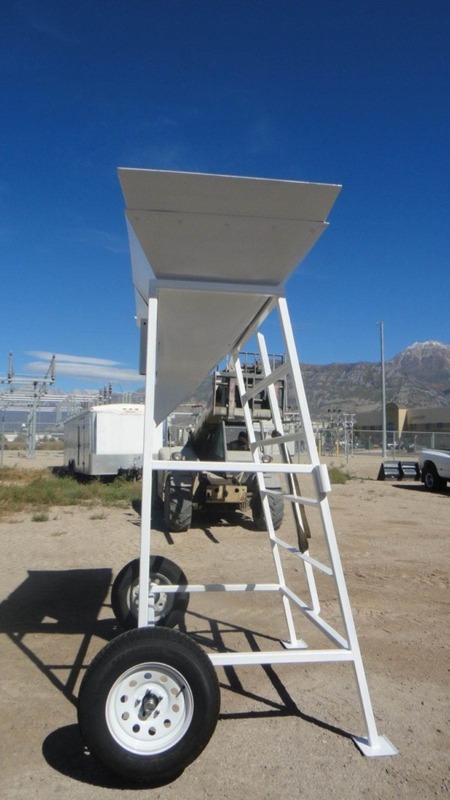 The lightweight chute enables the 2DH-1 to easily receive the aggregate, sand, cement, & water. 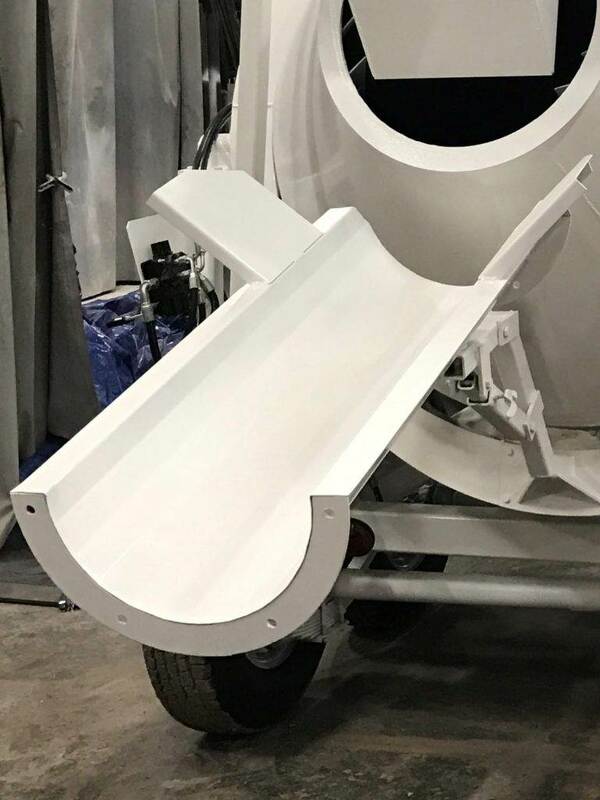 A super sac can empty into the chute or manual.